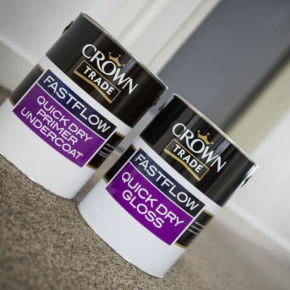 Crown Trade Steracryl Mould Inhibiting Matt Paint, Crown Trade Clean Extreme Scrubbable Matt and Crown Trade Fastflow Quick Dry Gloss are all being applied as part of the refurbishment of 57 dormitories and associated kitchen areas. 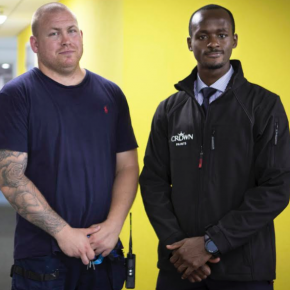 Patrick Bishop, supervisor of the Redbridge Student Accommodation, said: “We have a three to four-week period from when the full-time students move out to when the summer school learners move in, and in that time we need to redecorate all of the rooms. 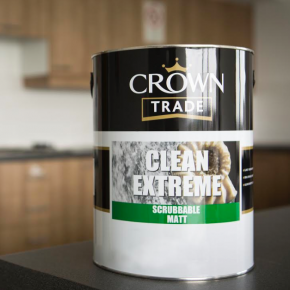 Crown Trade Clean Extreme Scrubbable Matt is being applied to the kitchen and bedroom areas as it is 100% more stain resistant than standard matt vinyl emulsion paint and be scrubbed up to 10,000 times. 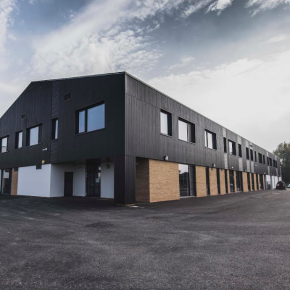 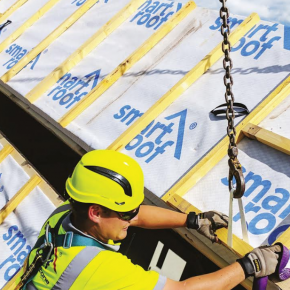 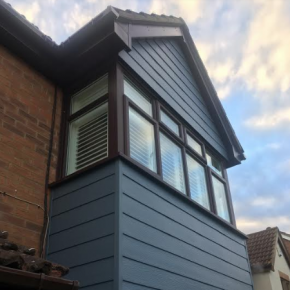 As well as Crown Trade Clean Extreme, other products selected for the project include Crown Trade Steracryl Mould Inhibiting Matt Paint for the bathroom ceilings, while Crown Trade Fastflow Quick Dry Gloss system is being used on all of the doors in the accommodation block. 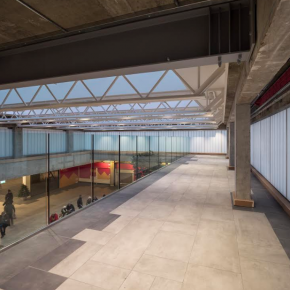 You can find out more about the project in this video.